Belgium took on Hungary this Sunday night and as it has been the case since the start of knockout stages Belgium took the lead early through Toby Alderweireld when he headed home after Kevin De Bruyne put in a superb floating freekick inside the box which evaded Lukaku but Alderweireld was in the right place at the right time to head home. Belgium dominated from than on but failed to add another goal in first half. Even with Belgium dominating Hungary was always in the game. But Michy Batshuayi came on as substitute in second half and scored to seal the win for Belgium. They will face Wales in the quarterfinals. 10′ 0 – 1 Toby Alderweireld headed home the opener for Belgium in just 10th minute of the game to ease the nerves. 80′ 0 – 3 Eden Hazard scored the third goal minutes later to put the game to bed. 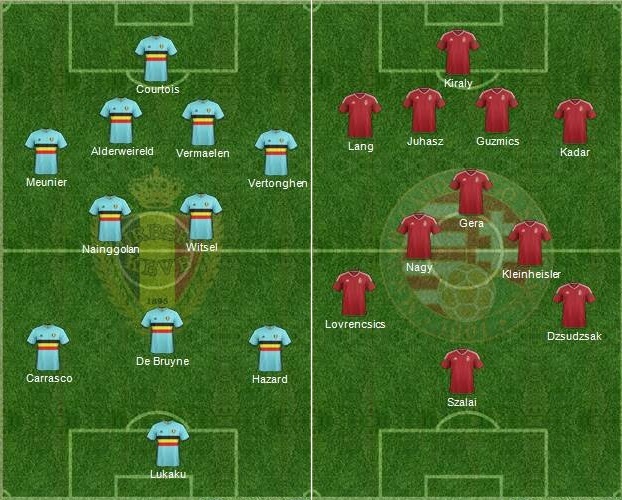 Preview & Lineups: Marc Wilmots stated before the game that he would rather play Spain or England than Hungary because of the fact they will be underdogs. Against Hungary however they need to play more patience football as easter europeans are likely to sit back and play on the counter making it difficult to break them down. Belgium will be hoping star striker Romelu Lukaku continue his goalscoring run while Carrasco and Dembele should start alongside Eden Hazard, Kevin De Bruyne and Axel Witsel in the midfield roles. Hungary on the other hand fresh from their 3-3 draw against Portugal which confirmed their status as group winners will be hoping to pull off another draw against one of the favourites in the tournament. Although they do have some injury worries with striker Daniel Bode and Attila Fiola both ruled out from the clash against Belgium. The starting lineups are usually announced 2 hours before the kickoff and we will be updating them right here. Below are the expected lineups of both teams. Belgium has got the better of Belgium in 6 of the last 8 games between the two while Hungary tend to play attacking football regardless of the opposition and they did enjoyed some success having scored the most number of goals in the group stages. But Belgium has improved since their first game and I can see them catching Hungary on the counters with quality they have upfront. 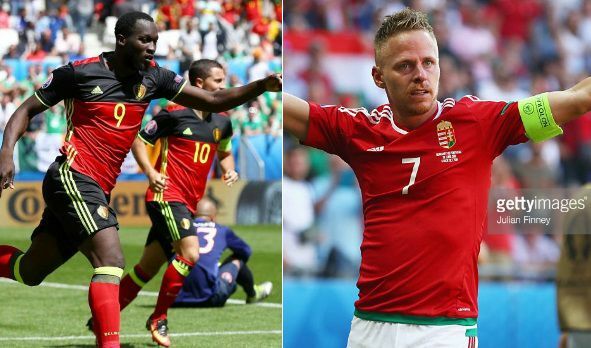 Hazard, De Bruyne and Lukaku should have enough quality to ease past Hungary.